We love to take nail art inspiration from all around us, clothes, art, prints, and even our dinner bowls! There I was, happily finishing off the last of my noodles when I noticed how well the design on the ceramic would translate onto nails. Two colours I wouldn't have thought to put together usually looked perfect when I added a consistent white background to link them. 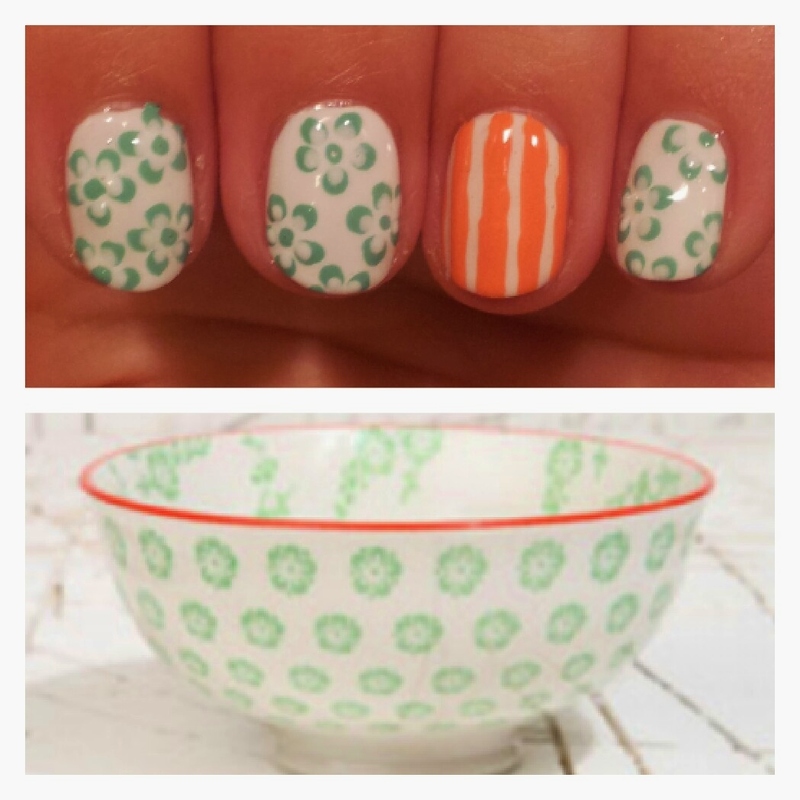 I kept the terracotta as an accent nail to reflect it's limited use on the bowl. Daisies are easy to do with any dotting tool or nail art pen. Start with a circle of five coloured dots. Then add another circle of white dots, just inside, but overlapping the coloured dots. Finish off with a central dot, you could use yellow for this to make the daisies more true to life. I kept the pattern a single colour to match the inspirational design.